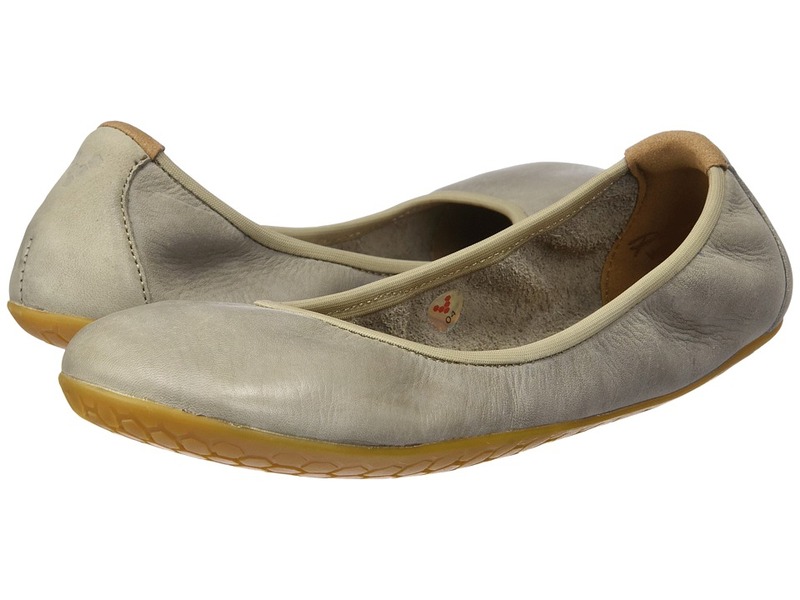 Jazz up your footwear with the charming style of the Jing Jing ballet flat. Suede, leather, or synthetic material depending on color. Easy slip-on style. Light, packable design. Elastic at hem gently hugs the foot for a better fit. V grip rubber is a sticky rubber compound that offers the perfect balance of grip, abrasion and underfoot feedback. 3 mm V Eve outsole provides sensory clarity. Imported. Measurements: Weight: 3 oz Product measurements were taken using size 38 (US Women~s 7.5), width B - Medium. Please note that measurements may vary by size. Weight of footwear is based on a single item, not a pair. 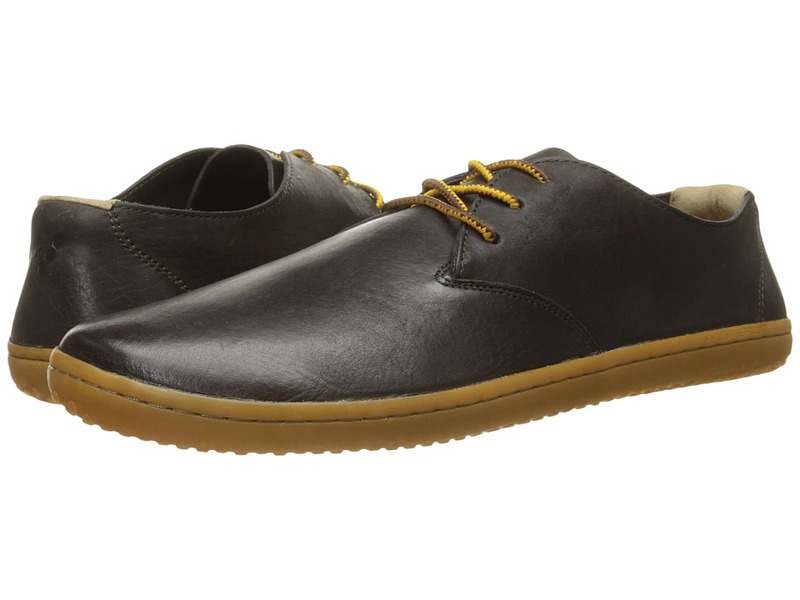 Look sharp while enjoying the barefoot-like freedom of the Gobi II chukka boot from Vivobarefoot. Choose from smooth X-leather or soft suede leather uppers. Three-eyelet lace-up oxford style. Heel pull for an easier on and off. Dri-Lex Fantasia fabric lining wicks moisture away from the skin to promote a comfortably cool environment. Molded foam insole offers great underfoot comfort. V Life outsole for pure sensory feedback underfoot. Outsole Thickness: 3 mm Imported. Measurements: Weight: 10 oz Product measurements were taken using size 45 (US Men~s 11.5), width D - Medium. Please note that measurements may vary by size. Weight of footwear is based on a single item, not a pair. The Ra II is lightweight, flexible, and designed to go from work to play without skipping a beat! Weather-tight canvas and rubber-taped seaming for added protection against the elements. PRO5 ultra-thin, puncture-resistant sole. 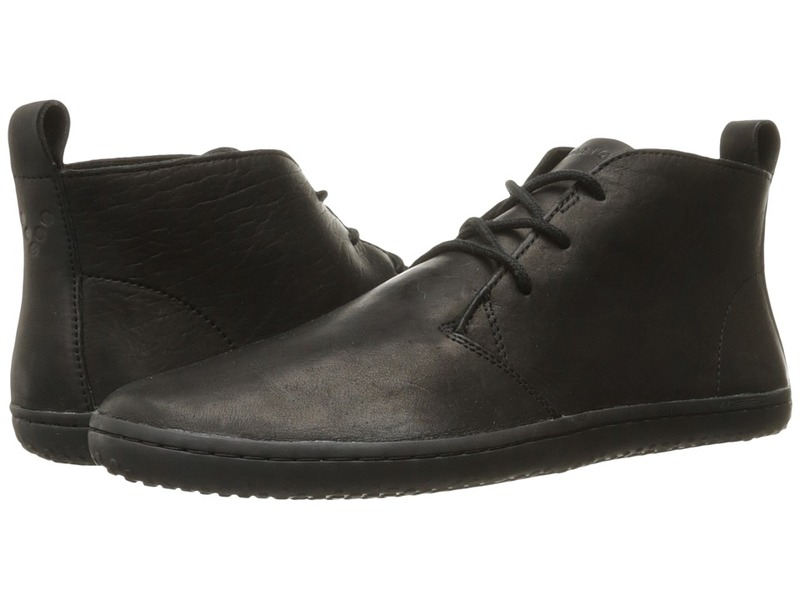 Three-eyelet lace-up oxford style. Dri-Lex Fantasia fabric lining wicks moisture away from the skin to promote a comfortably cool environment. 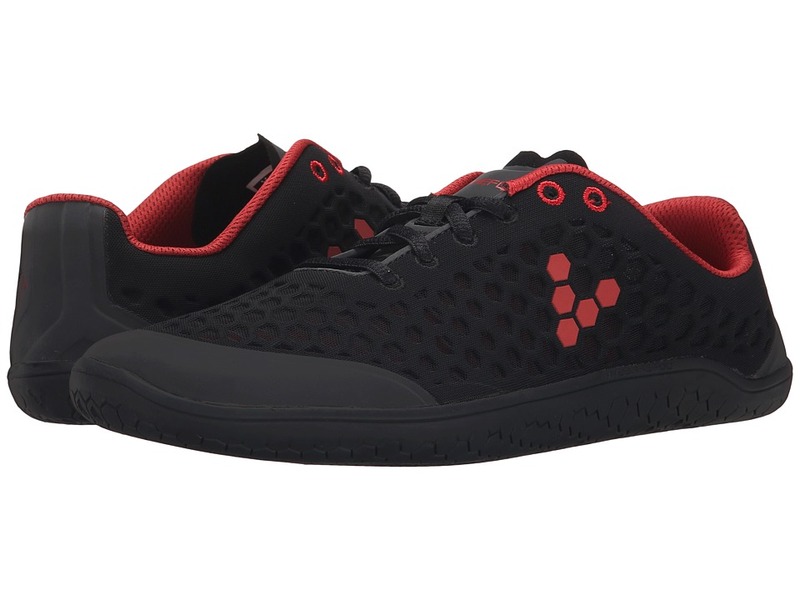 Molded-foam insole delivers superior underfoot comfort. V Life outsole for pure sensory feedback underfoot. Outsole Thickness: 3 mm Imported. Measurements: Weight: 7 oz Product measurements were taken using size 45 (US Men~s 11.5), width D - Medium. Please note that measurements may vary by size. Weight of footwear is based on a single item, not a pair. Keep your look on point and your soles feeling free in the natural-inspired design of the Motus sneaker. 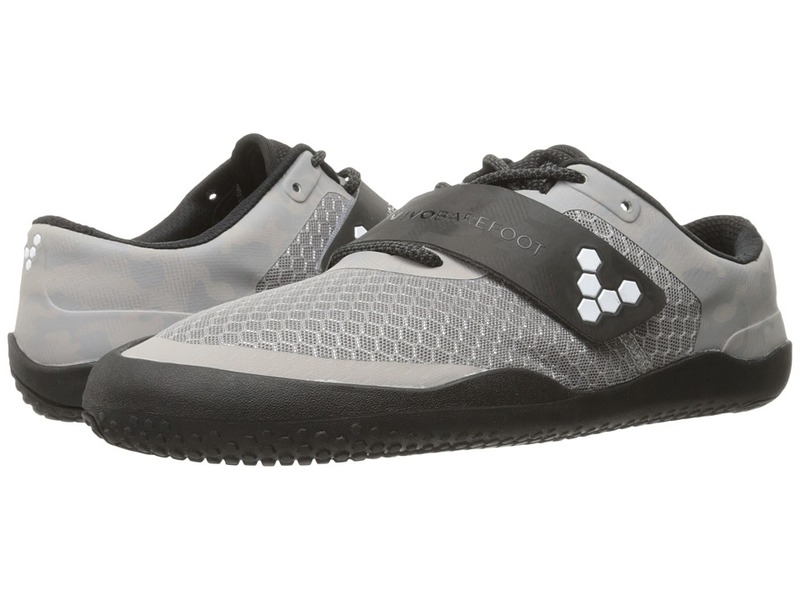 Vivobarefoot proudly states that this styles features 100 percent vegan-friendly construction. Breathable two-ply mesh upper with thin, no-sew PU laminate overlays. Lace-up and hook-and-loop closures. Textile lining offers a great next-to-foot feel. Thin foam footbed. 4.5 mm V-Move outsole. Hexagonal outsole pattern. Imported. Measurements: Weight: 11 oz Product measurements were taken using size 46 (US Men~s 12), width D - Medium. Please note that measurements may vary by size. Weight of footwear is based on a single item, not a pair. Gym. Rock hopping. Tennis. Basketball. Parkour . 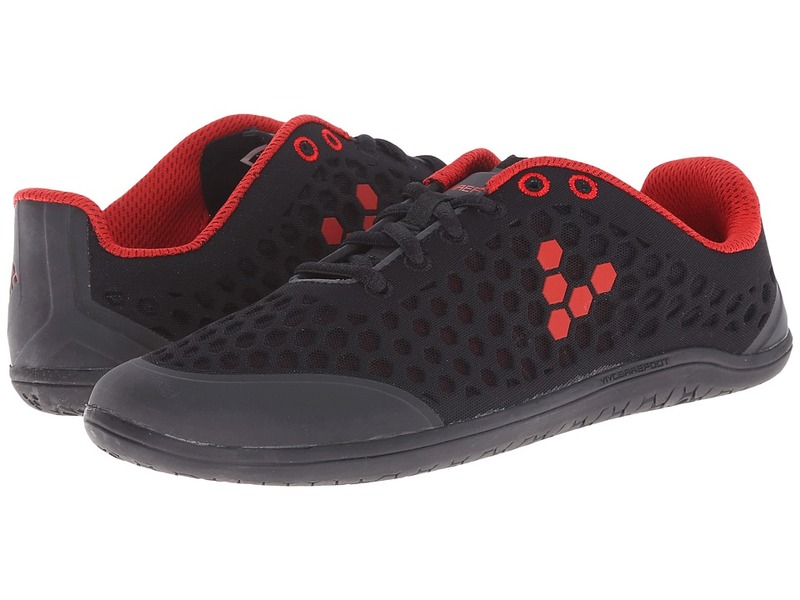 . . Whatever your sport, the Vivobarefoot Motus allows for unencumbered movement. Dual-layer mesh and synthetic upper materials. Lace-up design with hook-and-loop closure at top of foot. Thin tongue and slightly padded collar. Breathable fabric lining offers a great in-shoe feel. Sole Thickness: 4.5 mm V-Move rubber outsole with hexagonal grip pattern. Imported. Measurements: Weight: 7 oz Product measurements were taken using size 39 (US Women~s 8.5), width B - Medium. Please note that measurements may vary by size. Weight of footwear is based on a single item, not a pair. 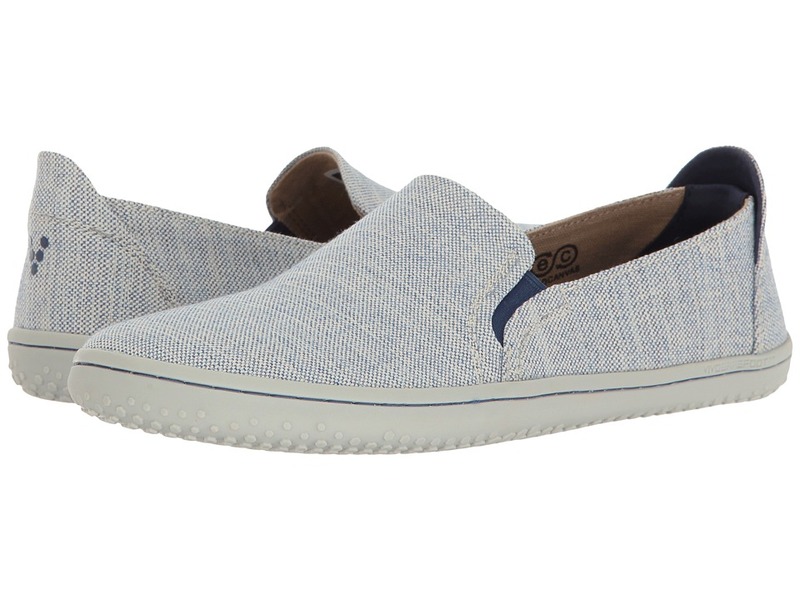 The Mata slip-on shoe was made for relaxed, carefree days. Upper of canvas is made from 50 percent recycled bottles, or a premium leather upper. Easy slip-on design with twin side gore. Soft textile linings. Lightly cushioned textile footbed. Highly flexible rubber outsole. Imported. Measurements: Weight: 6 oz Product measurements were taken using size 36 (US Women~s 6), width B - Medium. Please note that measurements may vary by size. Weight of footwear is based on a single item, not a pair. 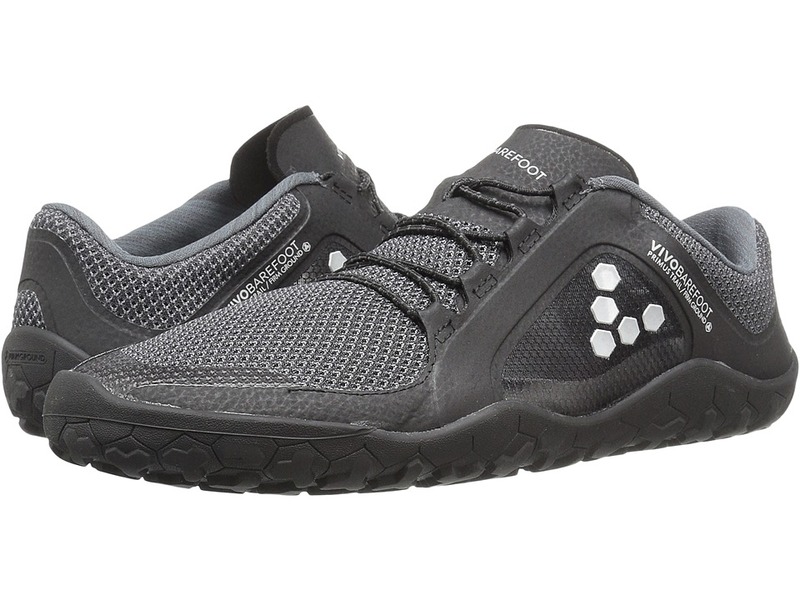 Tackle your next pavement-pounding adventure in the Vivobarefoot Stealth II running shoe. 100 percent vegan-friendly construction. EVA cage upper with thin mesh for optimal breathability. Lace-up closure. Thin comfort tongue and slightly padded collar. Breathable fabric lining offers a great in-shoe feel. Removable molded foam insole. 3 mm V Road rubber outsole delivers flexible traction in wet and dry conditions. Imported. Measurements: Weight: 7 oz Product measurements were taken using size 46 (US Men~s 12), width D - Medium. Please note that measurements may vary by size. Weight of footwear is based on a single item, not a pair. 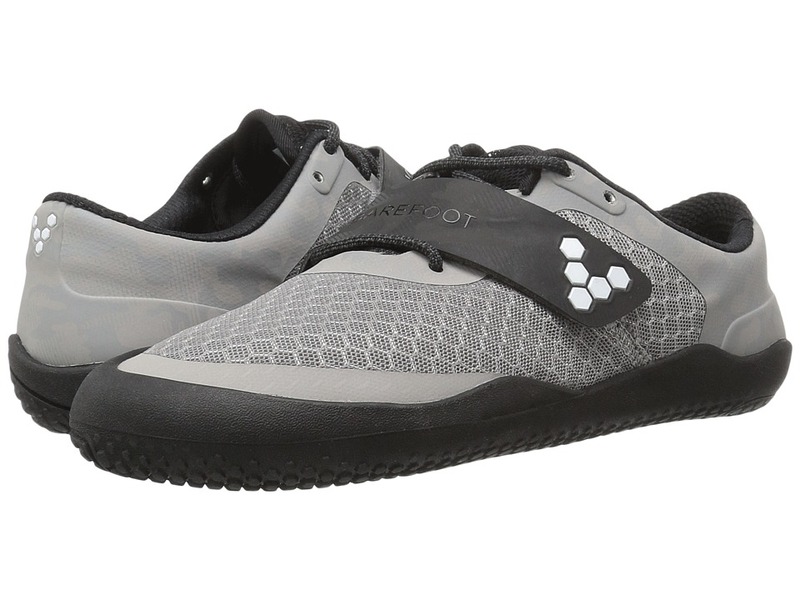 Tackle your next pavement-pounding adventure in the Vivobarefoot Stealth II running shoe. 100 percent vegan-friendly construction. EVA cage upper with thin mesh for optimal breathability. Lace-up closure. Thin comfort tongue and slightly padded collar. Breathable fabric lining offers a great in-shoe feel. Removable molded foam insole. 3 mm V Road rubber outsole delivers flexible traction in wet and dry conditions. Imported. Measurements: Weight: 9 oz Product measurements were taken using size 39 (US Women~s 8.5), width B - Medium. Please note that measurements may vary by size. Weight of footwear is based on a single item, not a pair. Explore a new trail or cover well-worn, familiar ground in the Vivobarefoot Primus Trail hiking shoe. Lightweight, breathable V-web mesh and no-sew PTU upper materials. Elastic bungee closure. Lightly padded tongue and collar. Soft textile lining offers a great in-shoe feel. Thin foam insole. Puncture-resistant, flexible, man-made V-Trek outsole features multidirectional tread for reliable traction over off-road terrain that doesn~t compromise underfoot feedback. Outsole Thickness: 7 mm. Imported. Measurements: Weight: 15 oz Product measurements were taken using size 46 (US Men~s 12), width D - Medium. Please note that measurements may vary by size. Weight of footwear is based on a single item, not a pair.